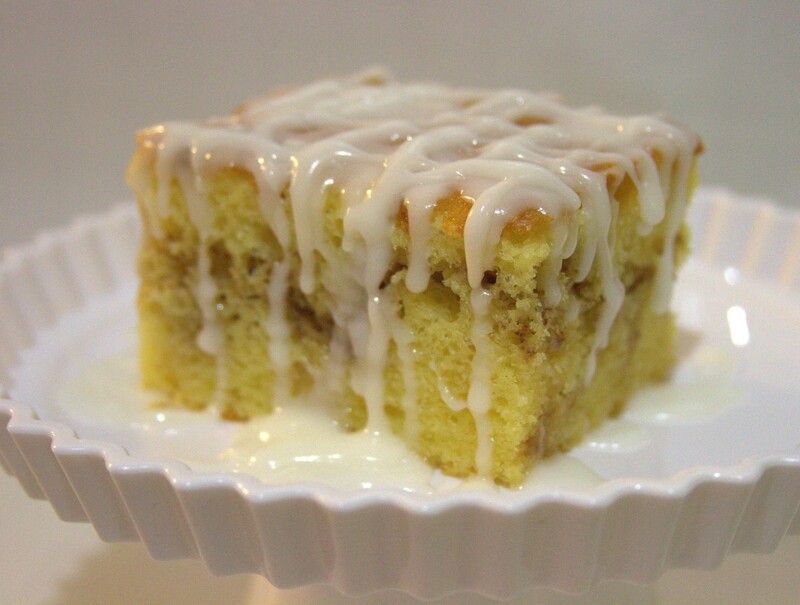 Classic Honey Bun cake, an original North Carolina recipe drizzled in our homemade butter cream icing. Classic Honey Bun cake, an original North Carolina recipe drizzled in our homemade butter cream icing. Here are our cake sizes and how many people you can serve: Regular-12x9 ( can serve up to 9 people ), Large- 22x13 ( can serve up to 25 people ).